Since 1998 Richard S. Beam, CPA, and his staff have been helping individuals and companies with all of their tax and accounting needs in northern New Jersey and New York. With extensive experience in many areas of the accounting profession, the principals and staff at Richard S. Beam, CPA, bring singular knowledge and proficiency to every client. Keeping up with the ever-changing tax laws today is a full time job. We will help you stay on top of local, state and federal regulations. Business Valuations are an important tool in determining your personal net worth. We offer affordable valuations for a variety of clients. 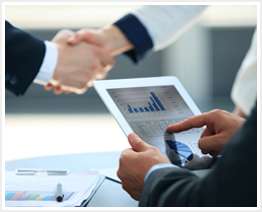 We welcome new clients to our firm by having an initial consultation and regularly meet with all of our clients. We encourage in-person meetings at least once a year so that we can establish your financial objectives and evaluate your needs for the coming months and years. By having an annual assessment we customize our accounting services to meet your tax and financial goals and ensure your continued success.